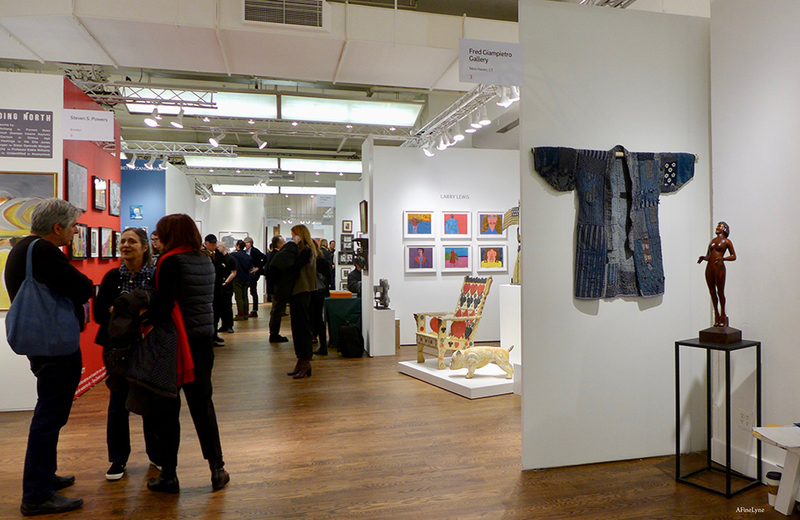 The Outsider Art Fair 2019 ~ it’s on! And we have four full days to take it all in. 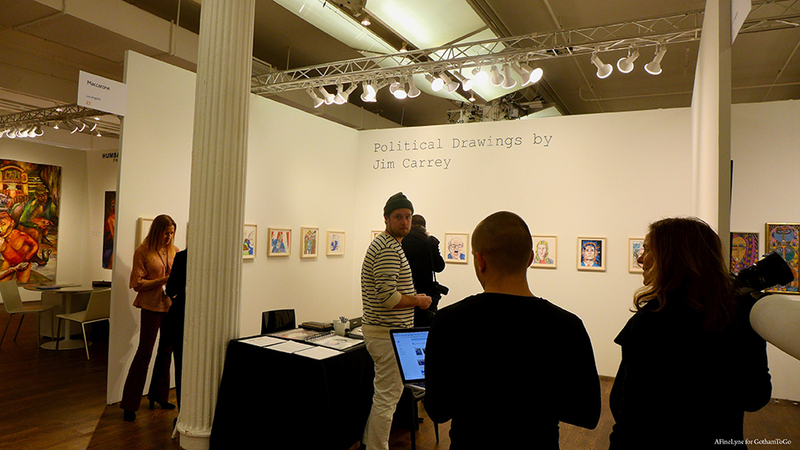 Here are a few images from our Day 1. 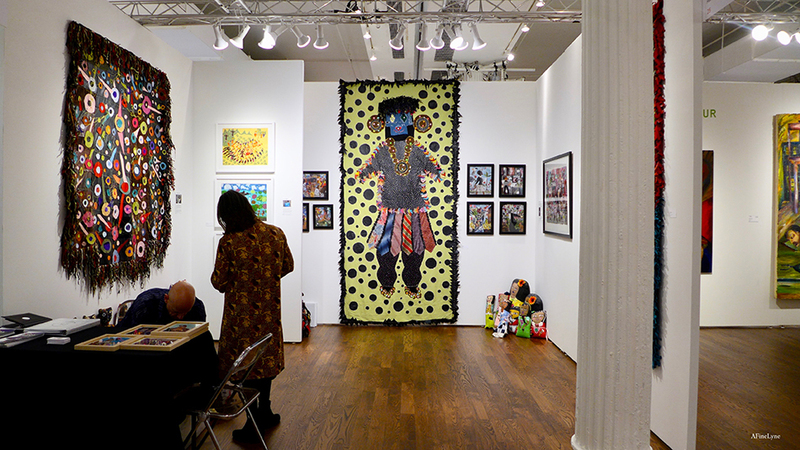 Starting with Portrait Society Gallery (Milwaukee, Wisconsin) below, we were utterly taken with the artists in this booth, from the large format wall hangings by Rosemary Ollison, to the artwork and dolls created by Della Wells, and ‘Black Eyed Peas’ dolls by Sharon Kerry Harlan and others. 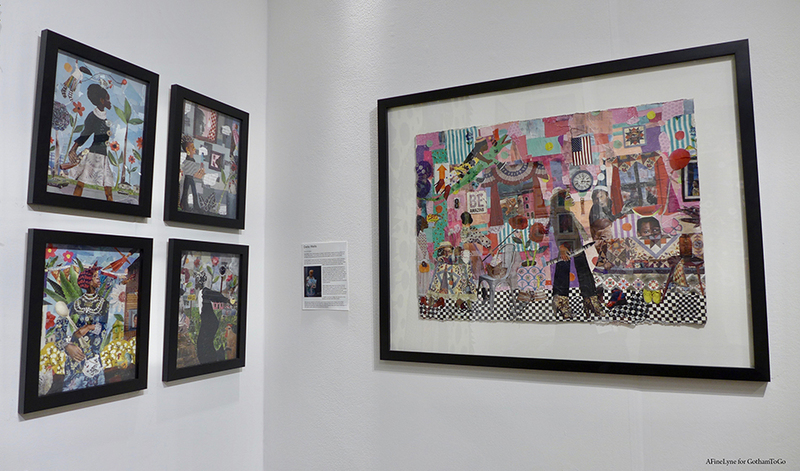 The large wall hangings below, were created by self-taught, Milwaukee-based, 76 year old artist, Rosemary Ollison. 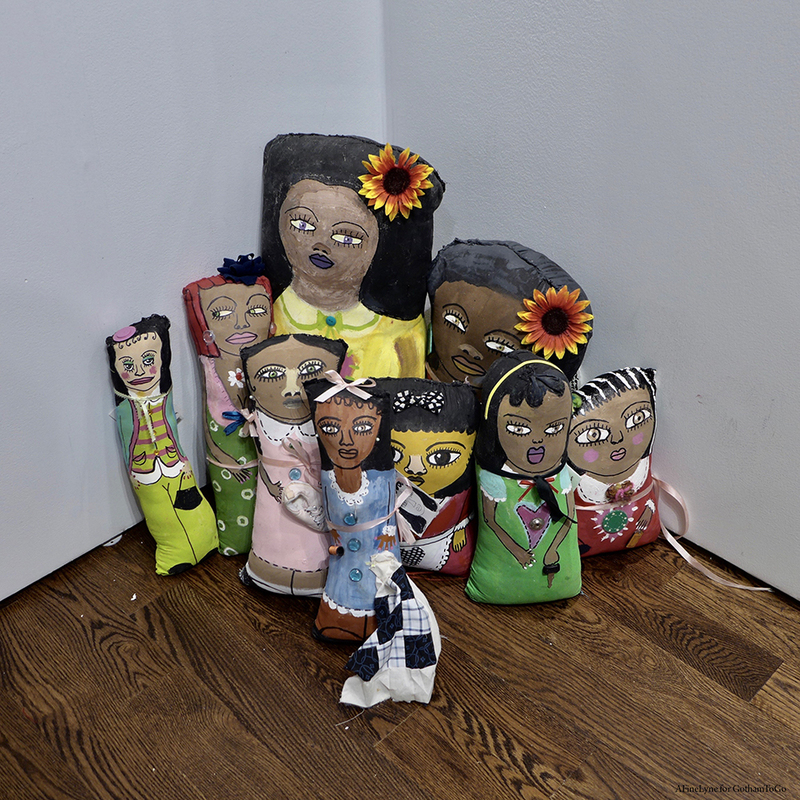 Her work deals thematically with her identity as a black women and celebrates the power, individuality and mystique of other women. 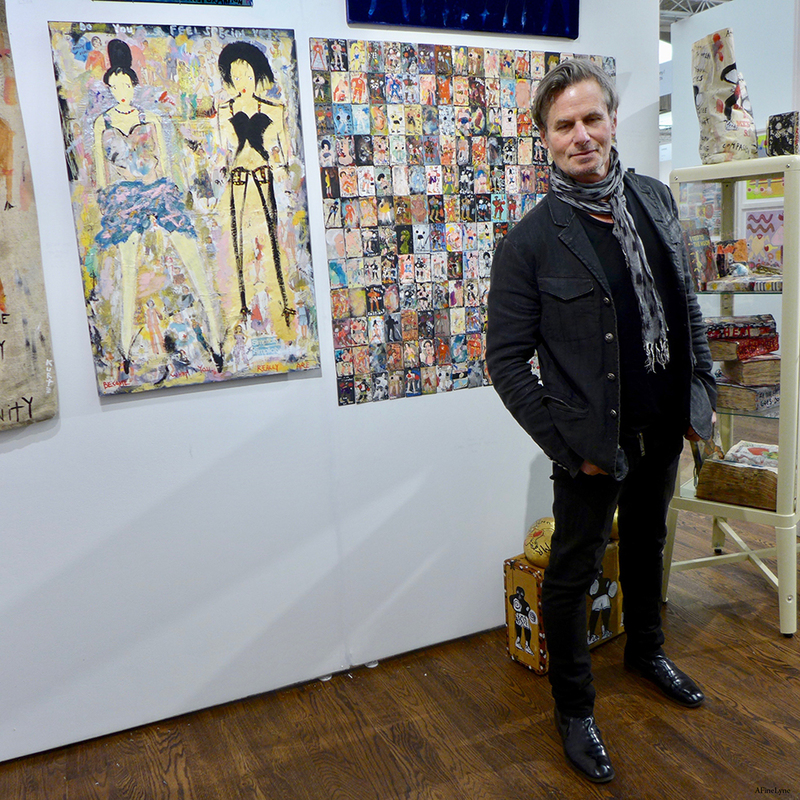 Ollison began making art in 1984, while healing from an abusive marriage. Ollison says that she creates in dialog with God. 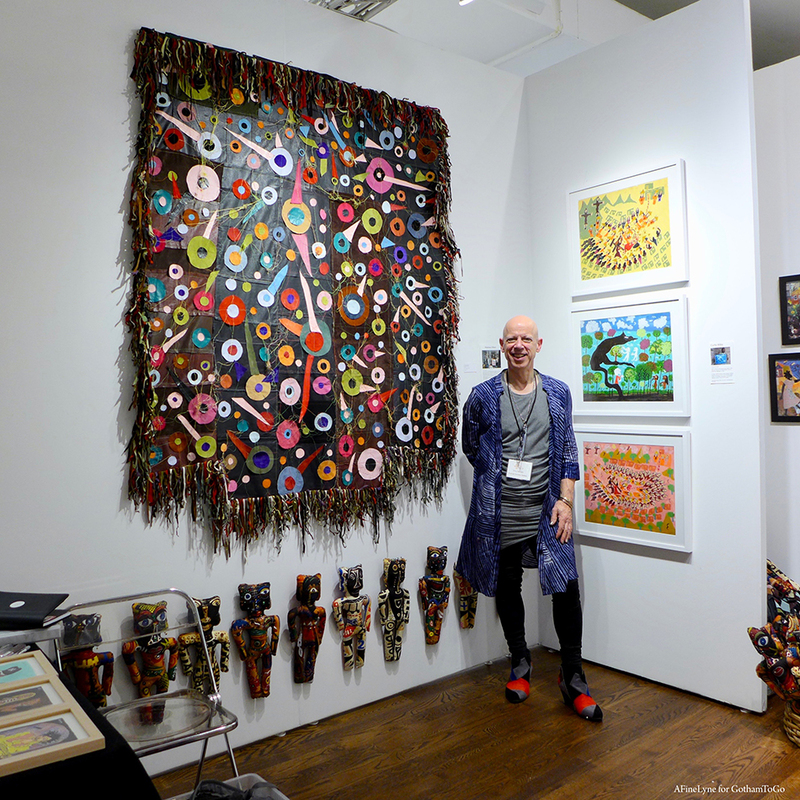 Several of the artists in the show were at the press preview, and we felt fortunate to meet Richard Kurtz (below) who was exhibiting in the Esperanza Projects booth #18. 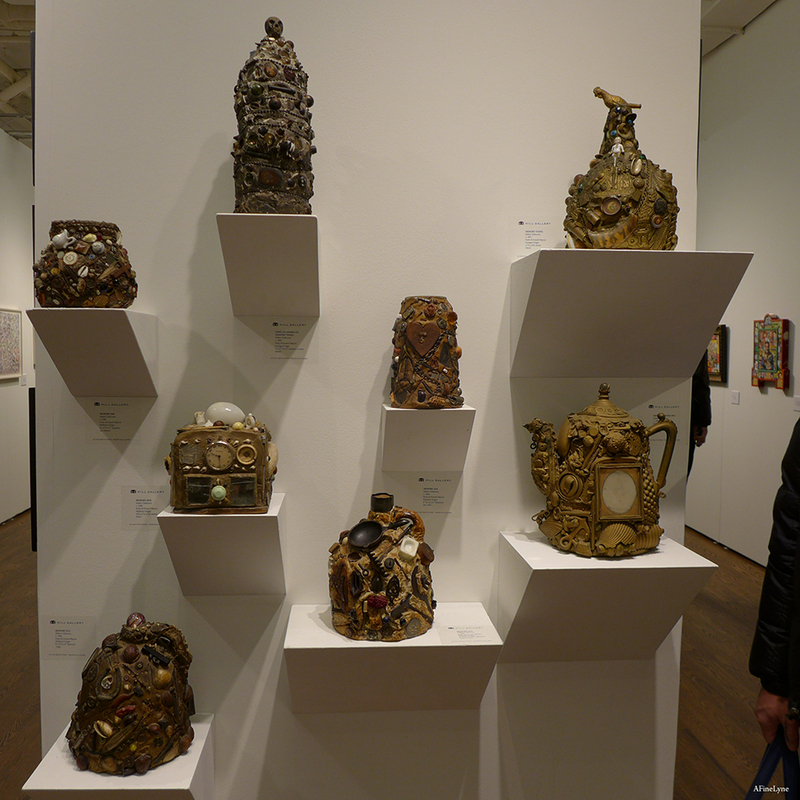 Weaving our way through rows and rows of galleries, we couldn’t help but stop short to take a breath, and a long moment in front of a beautiful display of ‘memory jars’ (below) by Hill Gallery (Birmingham, Michigan). 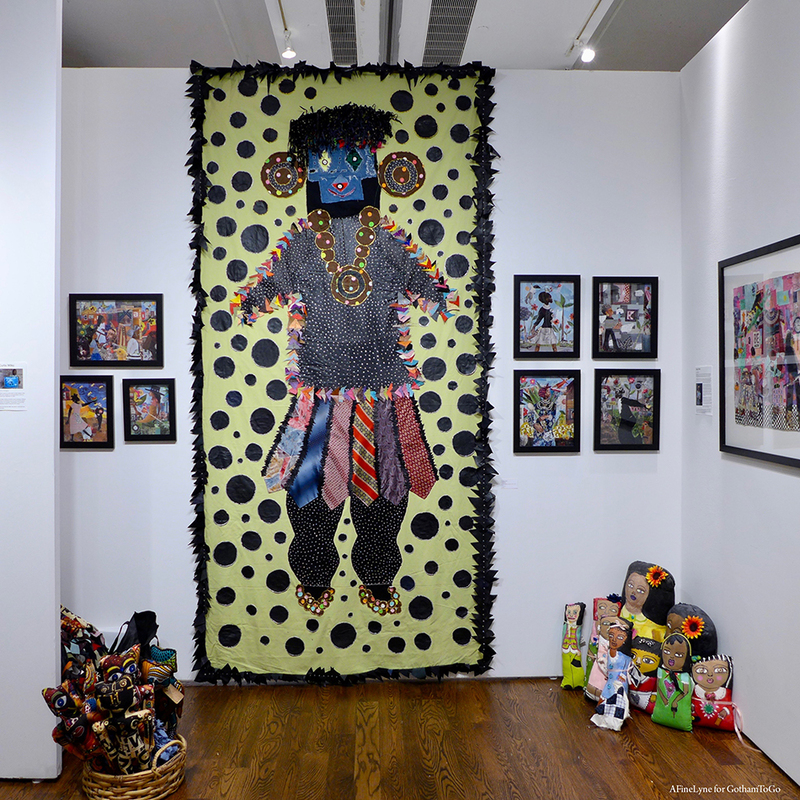 One of the most prominent of the OSA Curated Spaces is a tribute to the grande dame, Phyllis Kind, founding participant in the Outsider Art Fair when it was originally launched in 1993. 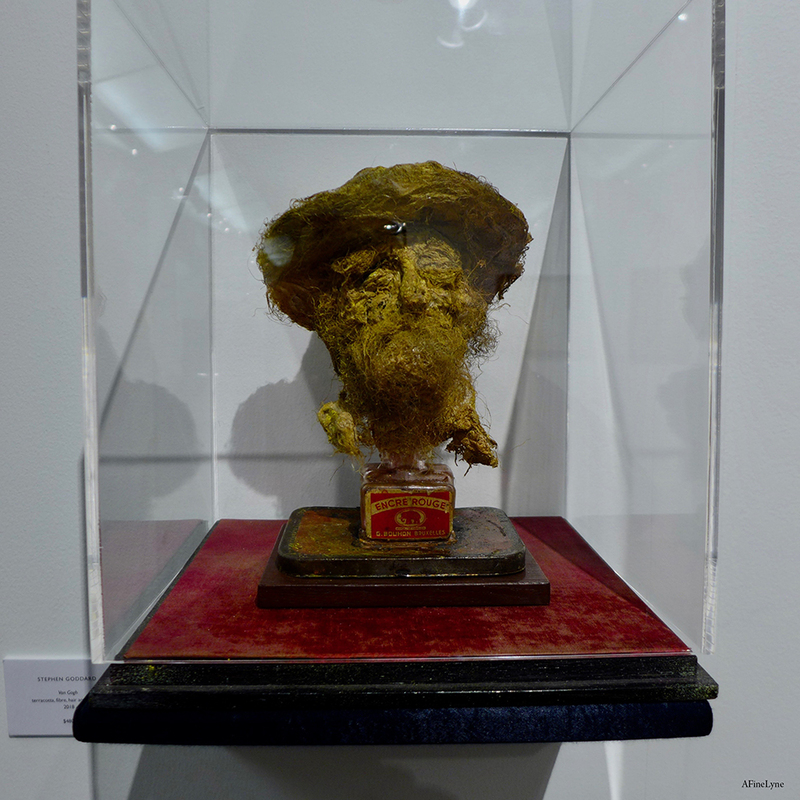 This exhibition is curated by art critic and Raw Vision senior editor, Edward M. Gomez, in collaboration with OAF manager Allison Galgiani. 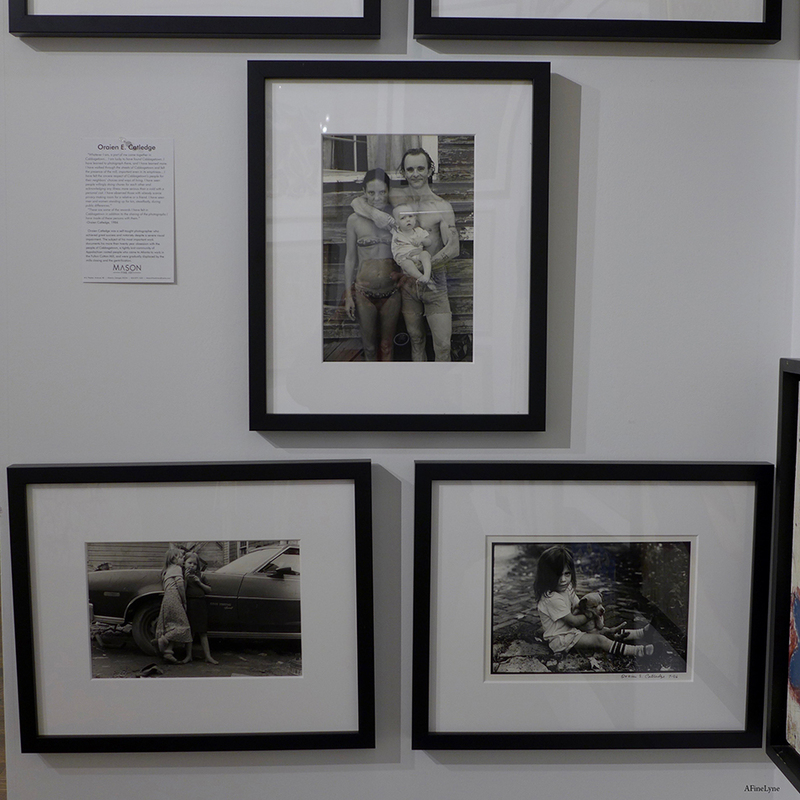 The self-taught photographer, Oraien Catledge, achieved great success and notoriety, despite a severe visual impairment, for his twenty-year photographic project, documenting the people of Cabbagetown (below). 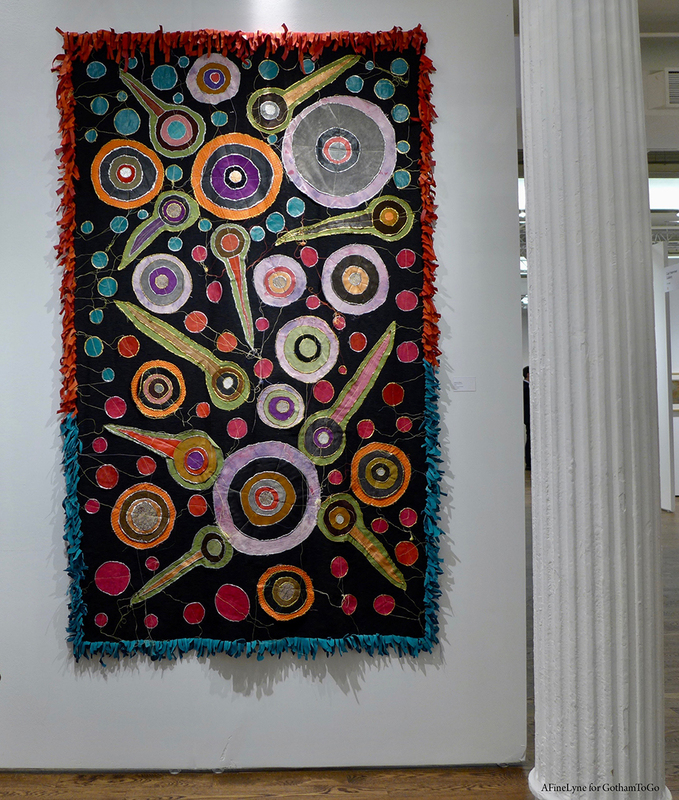 Cabbagetown is a tightly knit community of Appalachian rooted people who came to Atlanta to work in the Fulton Cotton Mill, and were gradually displaced by the mills closing and the gentrification. 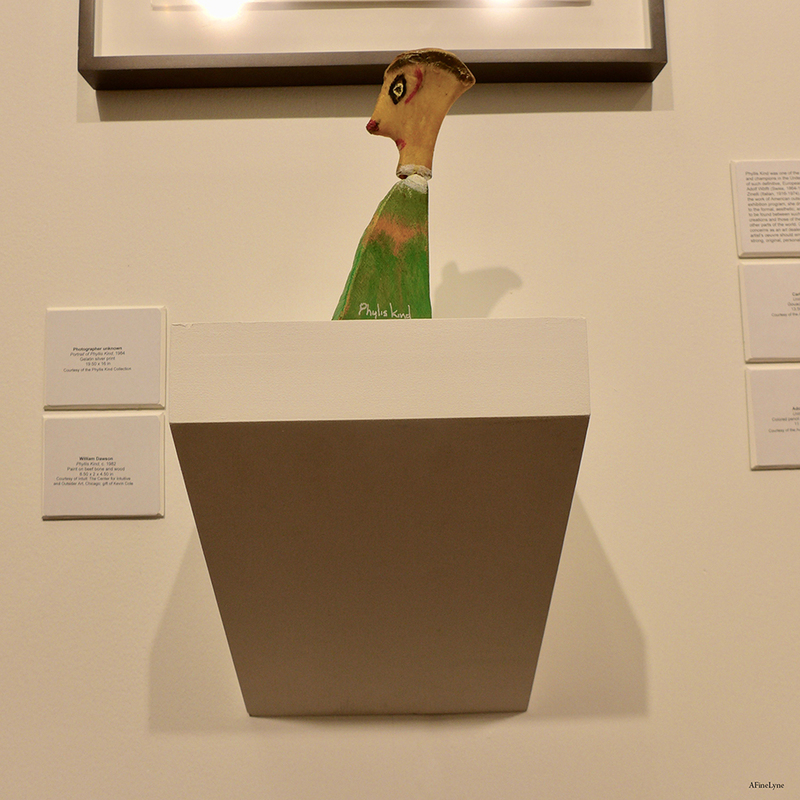 The works of photographer Oraien E. Catledge can be found in the Mason Fine Art (Atlanta, Georgia) booth #15. 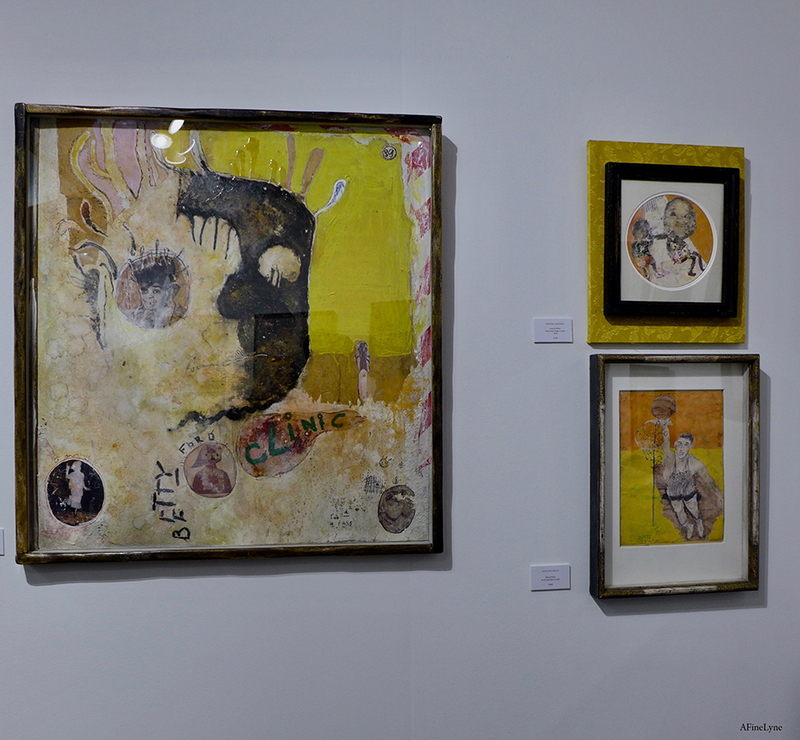 We couldn’t wait to see the work of Purvis Young ~ and we were delighted to see his work in a number of booths, beginning below, at Tanner Hill Gallery (Chattanooga, Tennessee) booth #17. 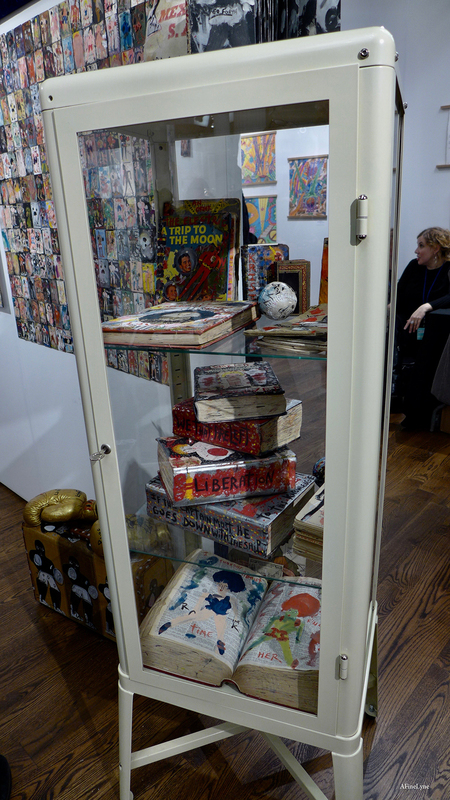 Purvis Young also on view at Main Street Gallery (Clayton, Georgia) booth #14 (below). 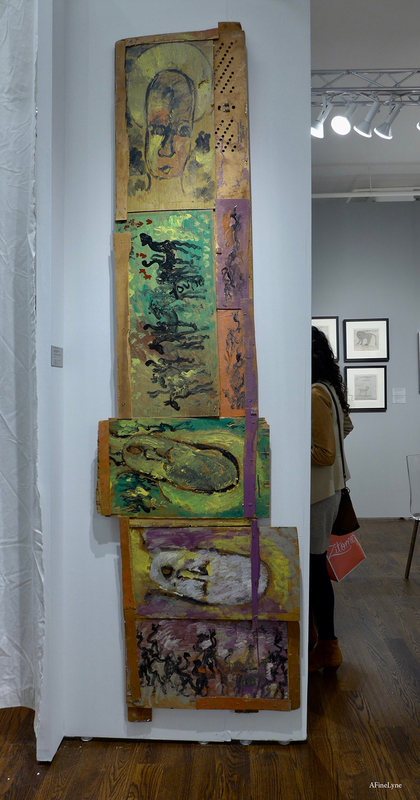 Hirschl & Adler Modern NY, booth #22, display a pair of Purvis Young paintings on each side of the entrance to their booth (below). 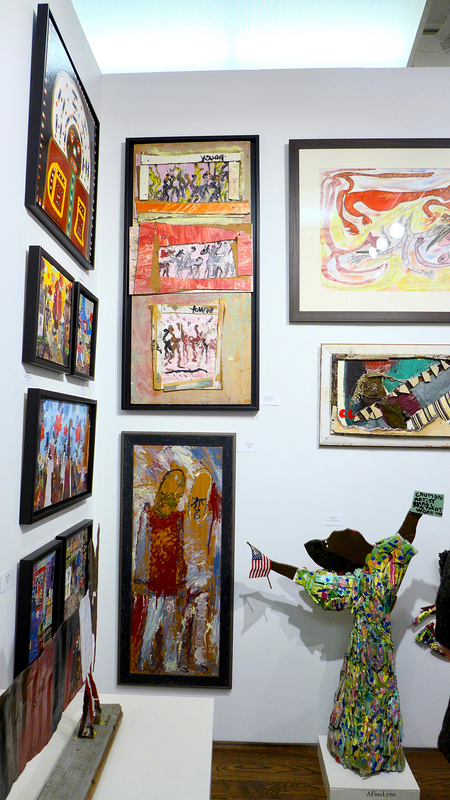 Below, Fountain House Gallery (booth #16) displayed a wall full of eclectic creations by the self-taught artist, singer, poet and performer, Angela Rogers. 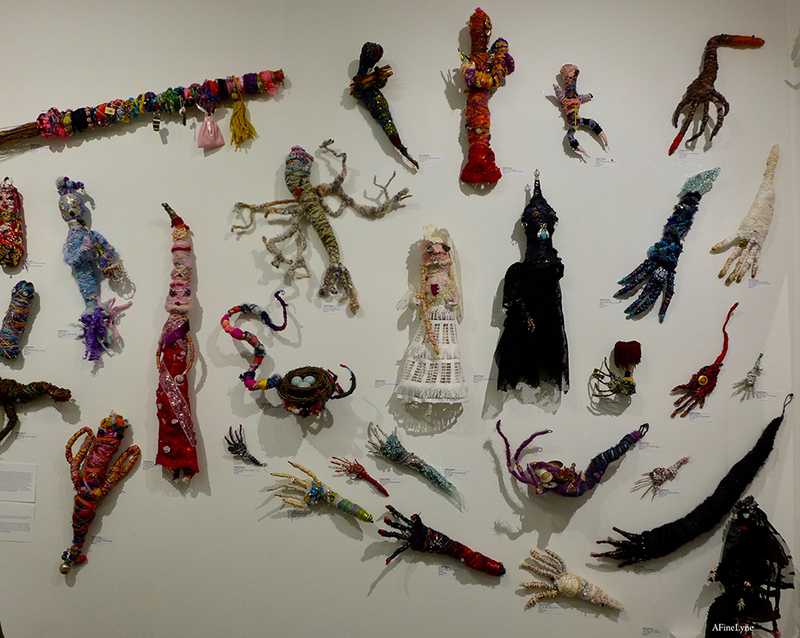 Her ‘puppets,’ intricately wrapped in yarn, reference addiction and institutionalization, influenced by a near-death experience after surgery for a brain trauma in 2012. 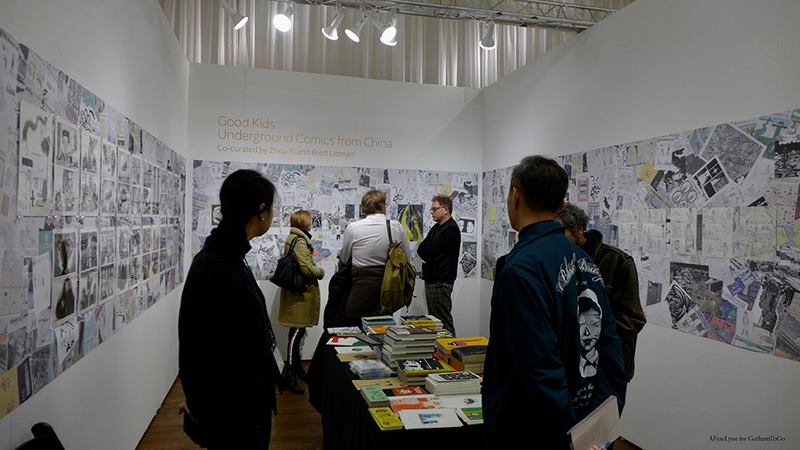 The OAF curated space below was a popular booth, with its exhibit, Good Kids: Underground Comics From China (#P4), exploring the emergence of the underground comic scene in China which coincided with the rise of the internet in the late 1990s to early 2000s. 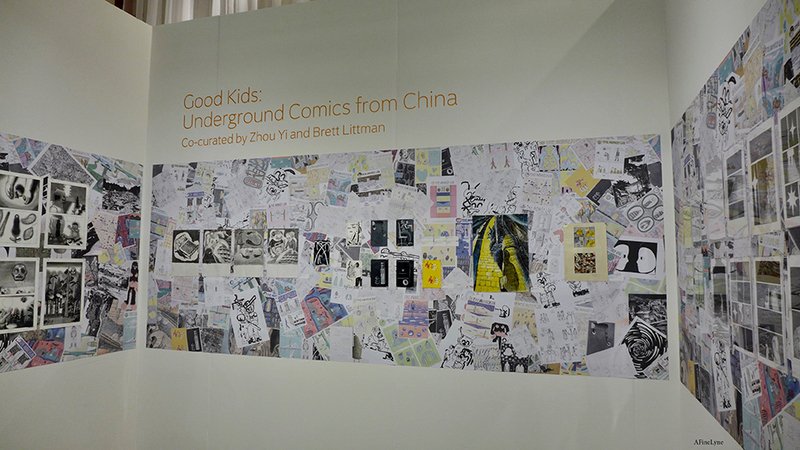 Good Kids: Underground Comics from China is co-organized by the Noguchi Museum’s Brett Littman and Yi Zhou, a partner at Beijing’s C5Art Gallery. 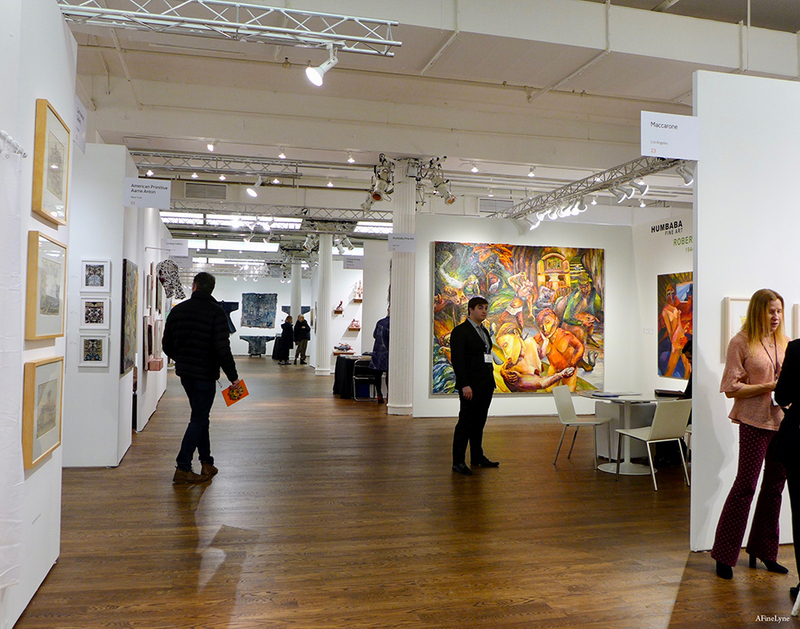 Above and below, the work of artist Stephen Goddard, exhibited in the Sardac (London) booth #40. 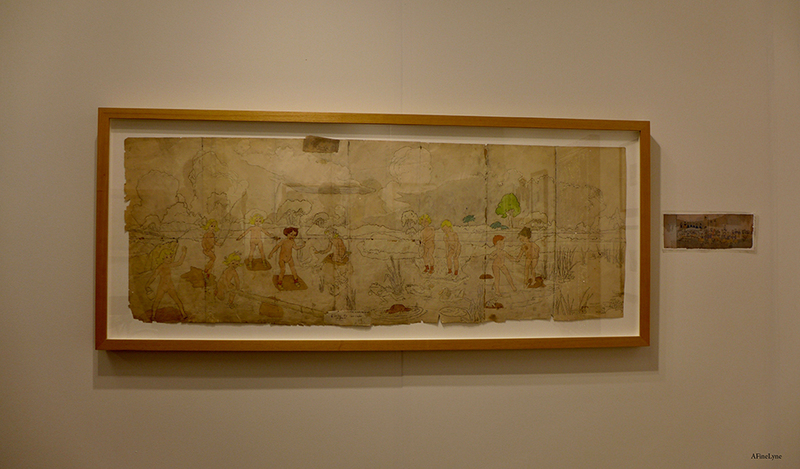 Carl Hammer Gallery (Chicago, Illinois), booth #55, beautifully displayed watercolor works by Henry Darger. 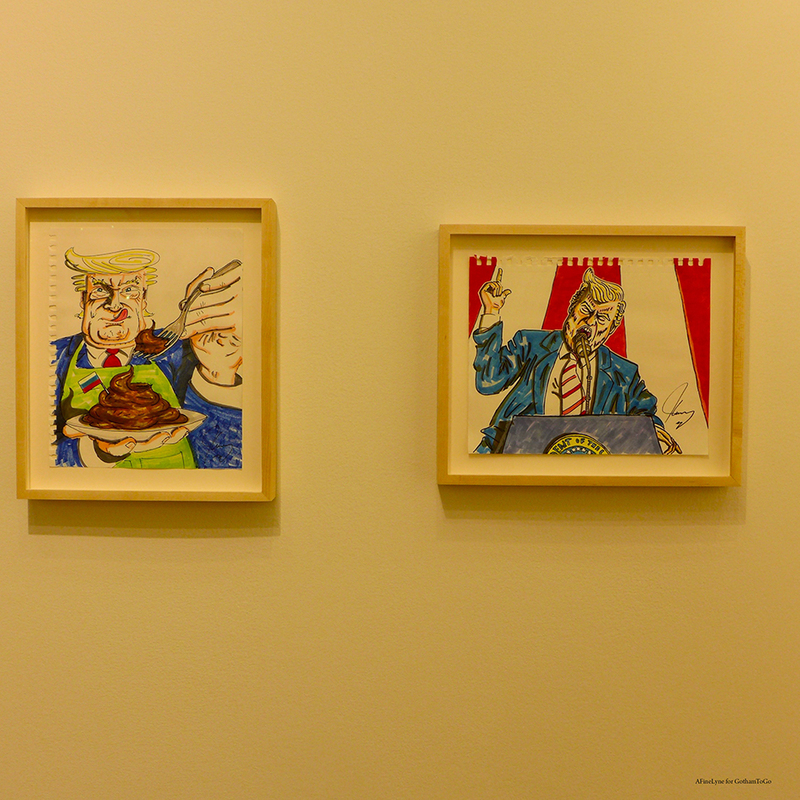 Many of Carrey’s works on view were created after the mid-term elections, and are being exhibited for the first time. 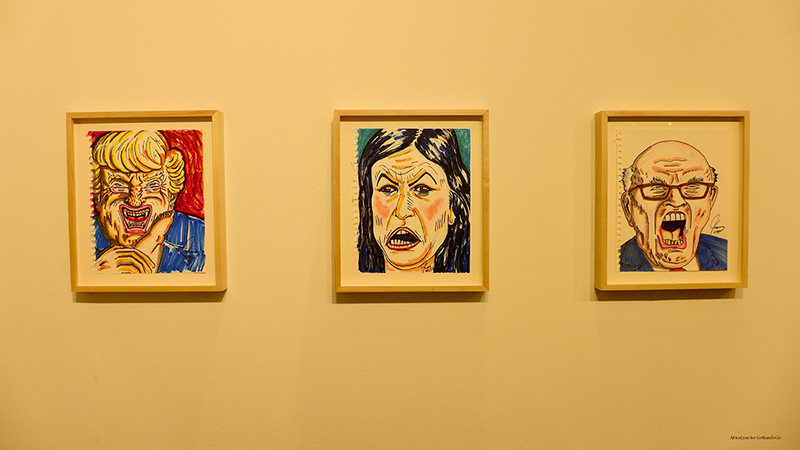 Kambel Smith (below) is a self-taught artist who was diagnosed with autism at age six. 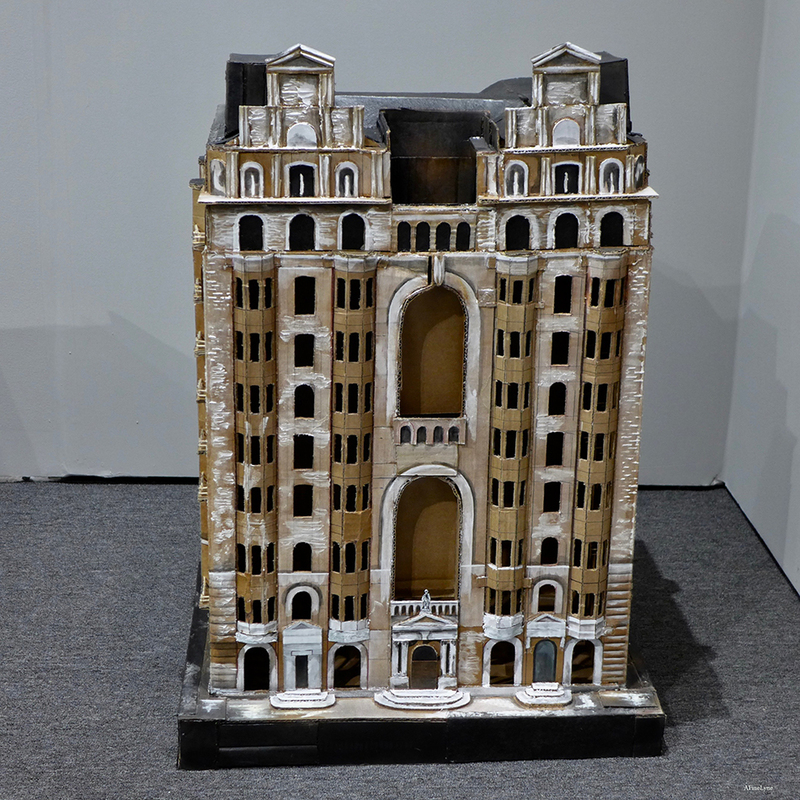 He began experimenting with model-making when his family couldn’t afford art supplies for painting, creating sculptures of landmark buildings in Philadelphia using cardboard salvaged from the trash. 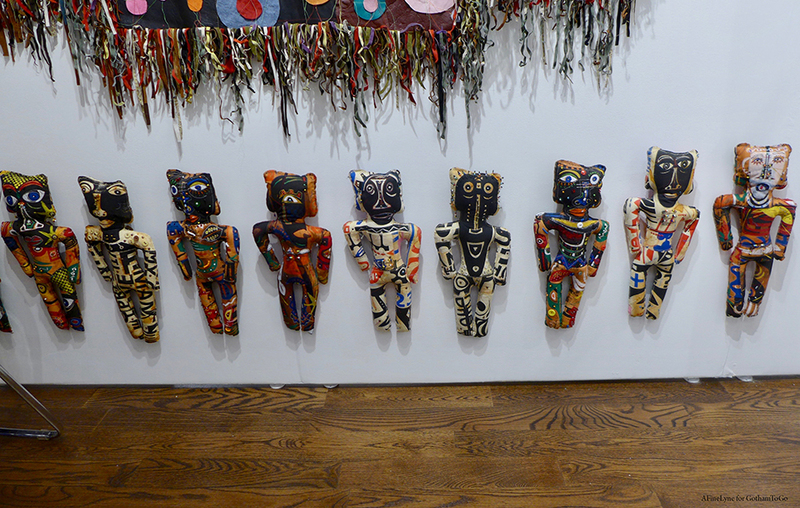 Each piece takes up to five months to complete, and are lovingly stored in his family’s home in Germantown, Pennsylvania ~ taking up lots of room, as you can well imagine! 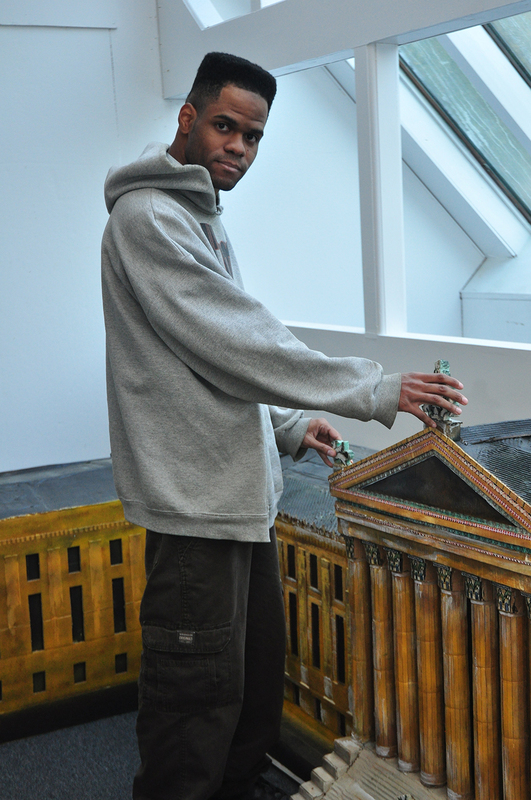 Above, Smith standing my his model of the Philadelphia Art Museum, and below ~ a stunning model of Devine Laraine. 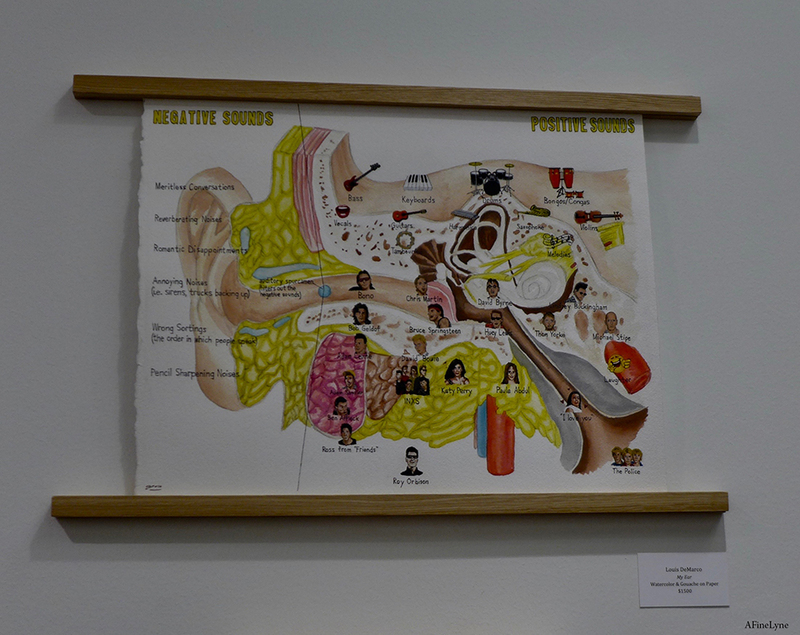 We found his work in the Chris Byrne (Dallas, Texas) booth #49. 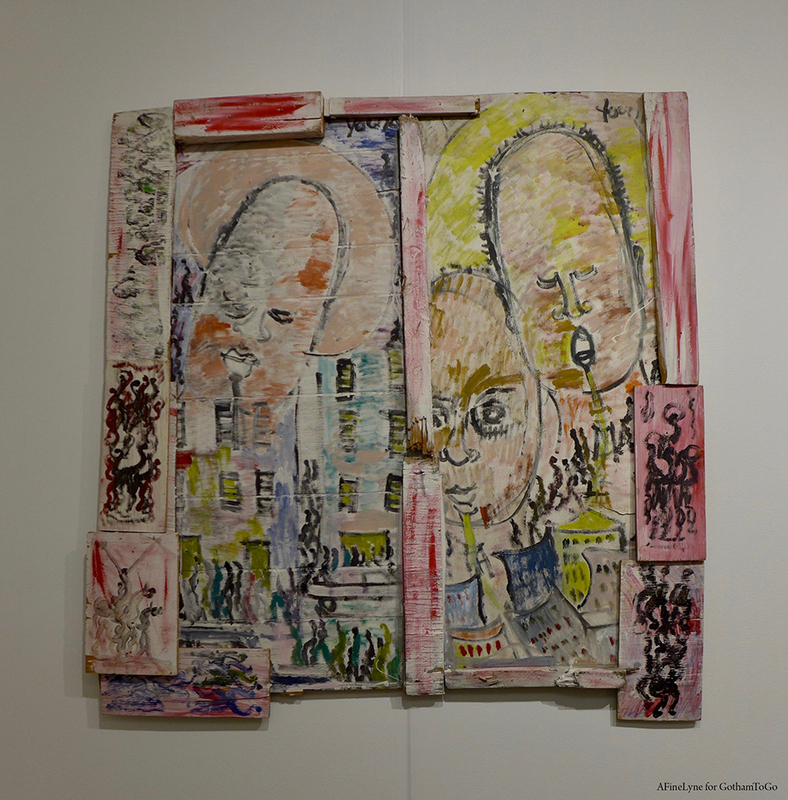 Above, the Devine Laraine, 2018, cardboard, foam-board, gouache, oil paint, charcoal, and lights. 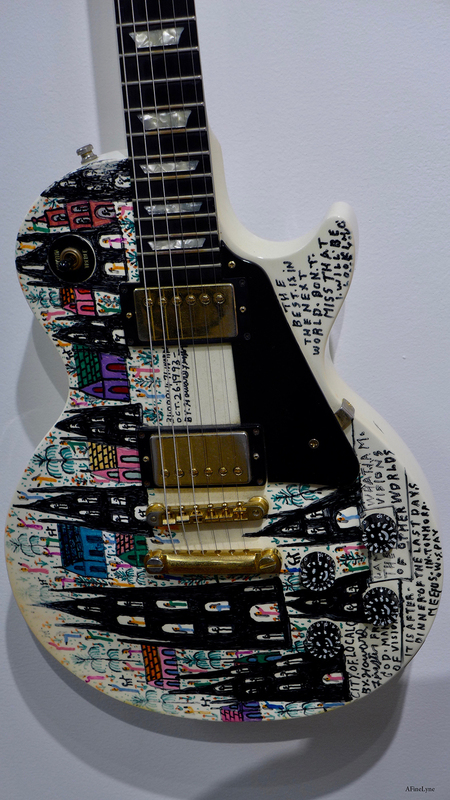 36 x 20 x 20 in. 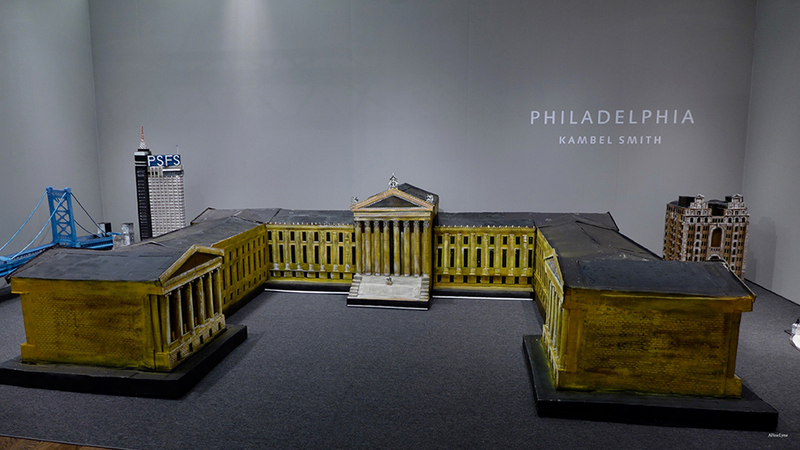 Above, Philadelphia Art Museum, 2015, cardboard, foam-board, gouache, oil paint, and charcoal. 44 x 28 x 42 in., 27 x 32 x 64 in., 26 x 24 x 52 in, 27 x 31 x 44 in. 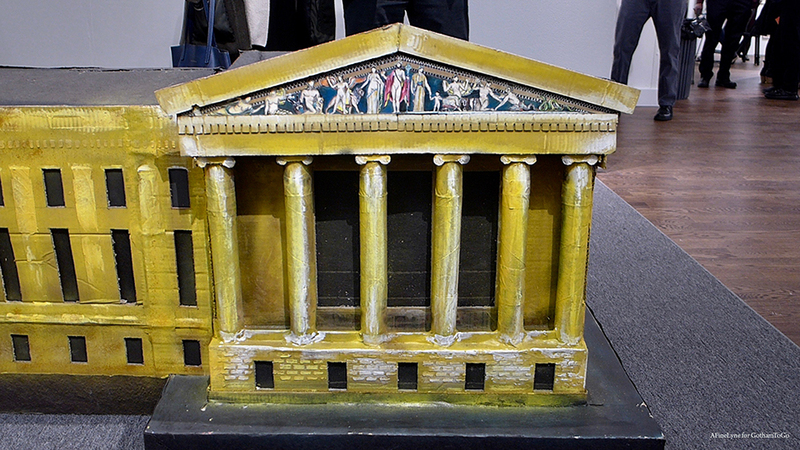 Below, a closer look at the Philadelphia Art Museum. 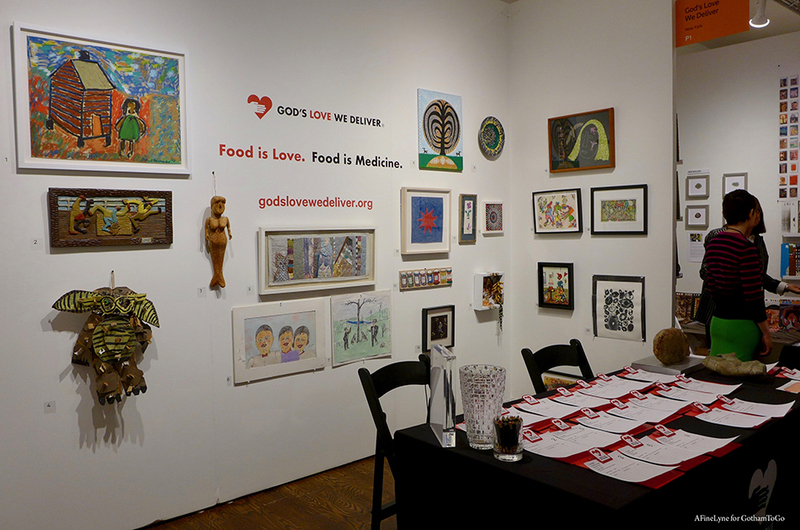 Who can resist a silent auction, especially when it’s for God’s Love We Deliver (below). 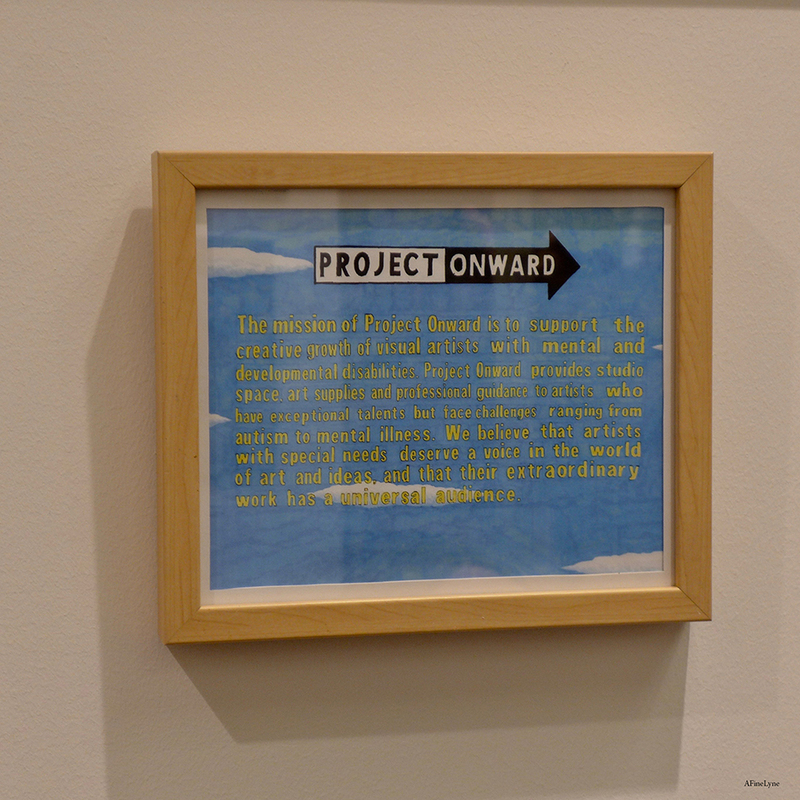 Below, the Chicago-based non-profit, Project Onward, supporting Chicago visual artists living with mental and developmental disabilities. 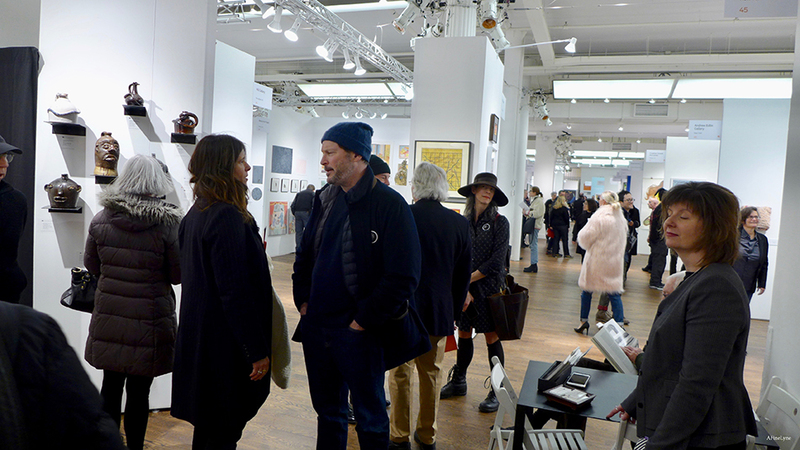 The Outsider Art Fair 2019 will be on view from January 17-20, 2019, with 67 exhibitors, at the Metropolitan Pavilion, 125 West 18th Street, NYC.